Arjen Robben has announced he will leave Bundesliga giants Bayern Munich at the end of the season after 10 years with the club. Robben, now 34, joined Bayern in 2009 from Real Madrid and has since won seven league titles, four DFB Pokals and the 2012/13 Champions League. 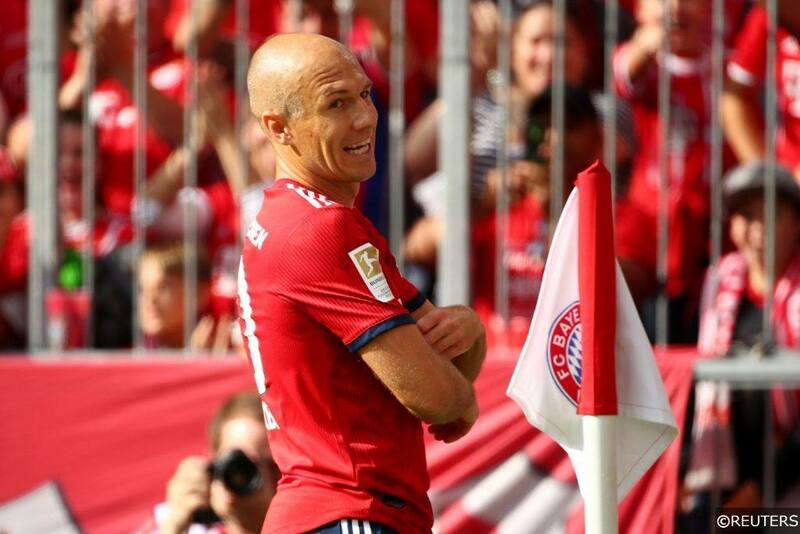 “I can say that this is my last year [at Bayern] and it’s good like that,” Robben said. “I have come to the decision by myself. The Dutch winger, who has also won titles with PSV, Chelsea and Real Madrid, added that there’s a chance Bayern Munich won’t be his last club. Robben has been regarded as one of the best wingers in the world throughout his career, but have you ever seen him use his right foot? Has anyone? It doesn’t matter when your left foot is as good as his! Where might he go next? Should Robben choose not to retire at the end of the season, reports from the German media are suggesting that a return to his second club, PSV Eindhoven, could be on the cards for the 34-year-old. Robben won the Eredivisie with PSV in 2002/03 and that move would also see him return back to his home country, the Netherlands. What’s your favourite Arjen Robben moment? Let us know over on our Twitter! Categories: Football and Transfer News. Tags: Arjen Robben, Arjen Robben retirement, Bayern Munich, Bundesliga, Frank Ribery, Robben, and Robbery. Team Tag: bayern munich, Chelsea, Germany, Groningen, Netherlands, PSV, and real madrid. League: German Bundesliga. Sports: Football.